but like a lot of things it might only be obvious once someone's told you ! 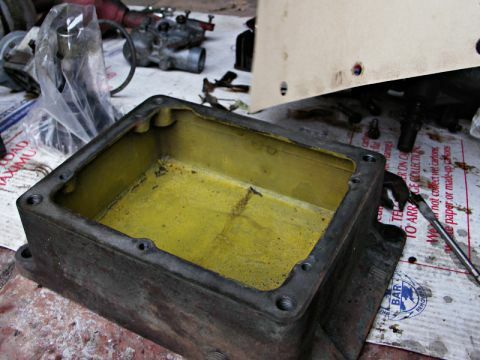 Here's the sump from my Petter A engine. 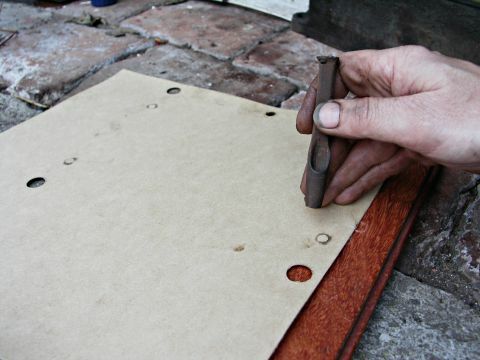 I've got a sheet of gasket material and already started punching some of the bolt holes before realising I'd not got the camera out. 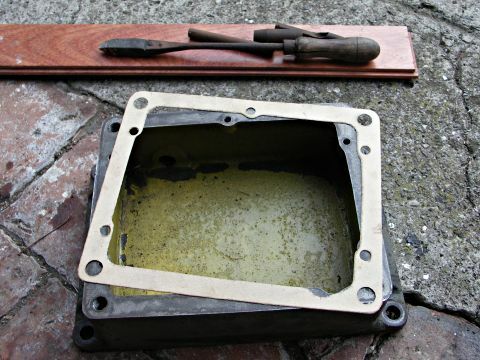 It's best to punch all the holes before you cut it out, otherwise the gasket will distort when you punch it. A really good use for all that nasty old black oil you've probably got lying around - a little smear around the holes leaves a nice mark on the material. 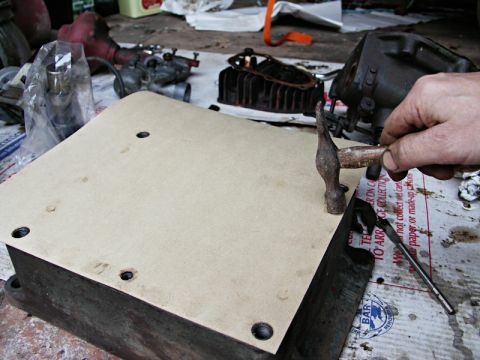 Here I'm very lightly tapping where the holes are to leave an impression in the gasket material. Just make sure it doesn't shift about! Here you can see the nice oily round marks to line up the punch against a block of hardwood. 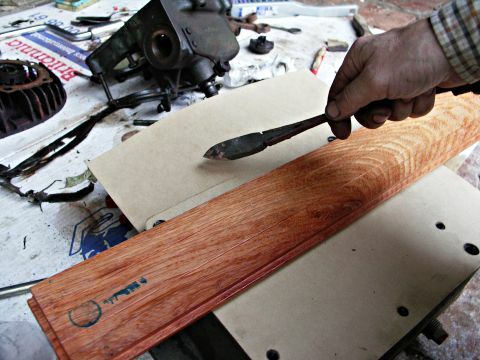 Use a chunk of wood to make sure the gasket doesn't move - I'd have my hand holding it down if I wasn't busy taking the picture. I don't have a small copper hammer, so I'm using an old soldering iron (one of those you heated up with a blowlamp) to tap along the edge which cuts through the material against the sharp edge of the casting. Don't belt it or you risk breaking the casting, just light taps will do. You can cut out the bold of the material with scissors, especially if it's a smaller piece, but here I'm just tapping at a very shallow angle to cut out the inner edge (I've found the copper iron is an ideal shape for this and the thin nose is good for the internal corners). 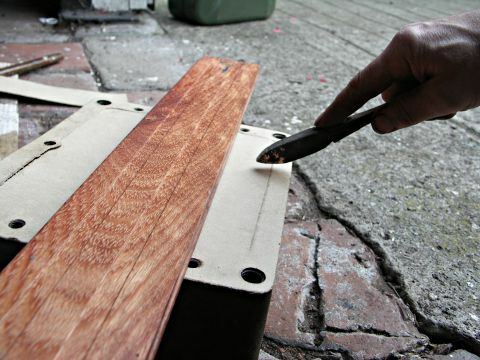 After cutting it out, tidy up any odd flakey edge so you don't get bits in the oil. Pretty reasonable apart from the slight movement on one of the holes due to me letting it slip a tadge while taking these pictures.